Marion Cotillard wasn’t very famous when she won the Best Actress Oscar in 2008 for her performance in La Vie en Rose, but after starring opposite Johnny Depp and appearing as a crucial character in a Christopher Nolan film, she began to be a recognizable face among the summer movie crowd even if they still couldn’t quite place her. Cotillard is one of the most technically proficient actresses working today, using her eyes to level the audience and bring them into the rapture of the fiction that she inhabits. Not since Catherine Deneuve has a French actress been accessible to American audiences at this level. Set to appear in a new thriller from Steven Soderbergh later this year as well as next year’s inevitably successful new Nolan Batman film, she most recently captured hearts and minds in Woody Allen’s excellent French-set comedy Midnight in Paris. 1. Bjork- Dancer in the Dark– It was already a complicated role to step into; a lower class immigrant who must work in a factory to support her son and save up for his surgery to save him from the same blindness that was dooming her. She then runs into serious threats when capitalist America comes into the picture. Add in musical fantasies, tension from the sadist Lars Von Trier and impossible songs written by Bjork herself, and the role of Selma is just as doomed as the character. But Bjork takes this tragic story, gives it the proper life, glimmer for hope and our sympathy to prolong the inevitable as long as possible, making it even that much more difficult to take. It’s a pure work of devastation to watch Bjork melt right down into the role, with her far-off eyes, that reckoning, hopeless smile and perfectly broken down English that match every last theme in the movie. Key Scene- Selma is in a jail cell broken down and alone and once again turns to music to take her away. Moving to the ventilator, she begins singing Julie Andrews’ “Favorite Things” to calm herself from one of the lowest points in her life. It’s a sad setting but a bright song, and then it gets even more disturbing when Bjork throws in the deep lumps in the back of her throat and tears matched with her revealing smile and dancing around. It’s heartbreaking to watch. 2. Ellen Burstyn- Requiem for a Dream- Her role as an aging widow hooked on caffeine pills in an attempt to get on her favorite television show is also one of the most heart-wrenching performances you’re ever likely to see. 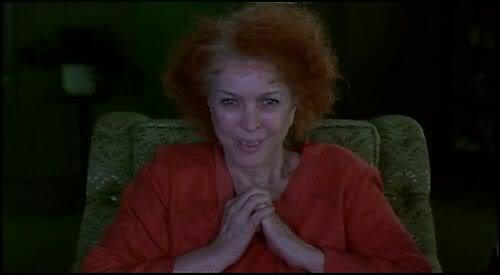 Burstyn may have lost the Oscar, but her performance will live on longer than any of the nominees from that year. Key Scene– Her monologue to her son Harry. It’s here that her character’s drug use is humanized, tragically. Burstyn doesn’t go full-on with her grief, she restrains herself to devastating effect. The close-up shot catches every nuance of a performance with many dazzling ones.